All of SmarterASP.NET’s data facilities are SSAE 16 SOC 2 Type 2 audited. SmarterASP.NET operates at three different World-Class Data Centers, owns a large equity stake in Alchemy Communications. 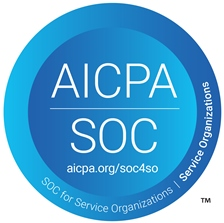 Alchemy Communications SSAE 16 SOC 2 Type 2 Audited Internet Data Centers offer premier collocation space, multi carrier Internet connectivity, and the flexibility to customize managed services. Alchemy managed services include monitoring, network security, storage, load balancing, video and audio streaming, applications management and disaster recovery services. What kind of businesses would benefit? Any organization with an IT infrastructure requiring high availability, redundancy, security, fast and highly reliable Internet connectivity, and robust power/cooling will benefit from choosing Alchemy Communications. Alchemy offers three convenient locations; one in downtown Los Angeles, one adjacent to Los Angeles International Airport, and one just 2 miles from John Wayne Airport. Alchemy data centers provide server collocation facilities with raised floor customized space, power/air conditioning, multi-carrier blended internet bandwidth and the choice of comprehensive managed services modeled upon the requirements of the Sarbanes-Oxley Act and HIPAA regulations backed by SSAE 16 SOC 2 Type 2 credentials. Multi-site professional IT staff that continually collaborates with clients to design implement and maintain the most efficient and cost effective infrastructure. From a single server to customized cage options, substantial power/cooling and availability of fiber bandwidth for any size operation including video and audio streaming, Alchemy can provide for today and tomorrow's needs.